TYM1020-H automatic foil stamping and diecutting machine is mainly used for the diecutting, creasing, foil stamping, cold and hot embossing of cigarette box, drug box, wine box and label in the packing and decorating industries. TYM1020-H automatic foil stamping and diecutting machine is mainly used for the diecutting, creasing, foil stamping, cold and hot embossing of cigarette box, drug box, wine box and label in the packing and decorating industries. 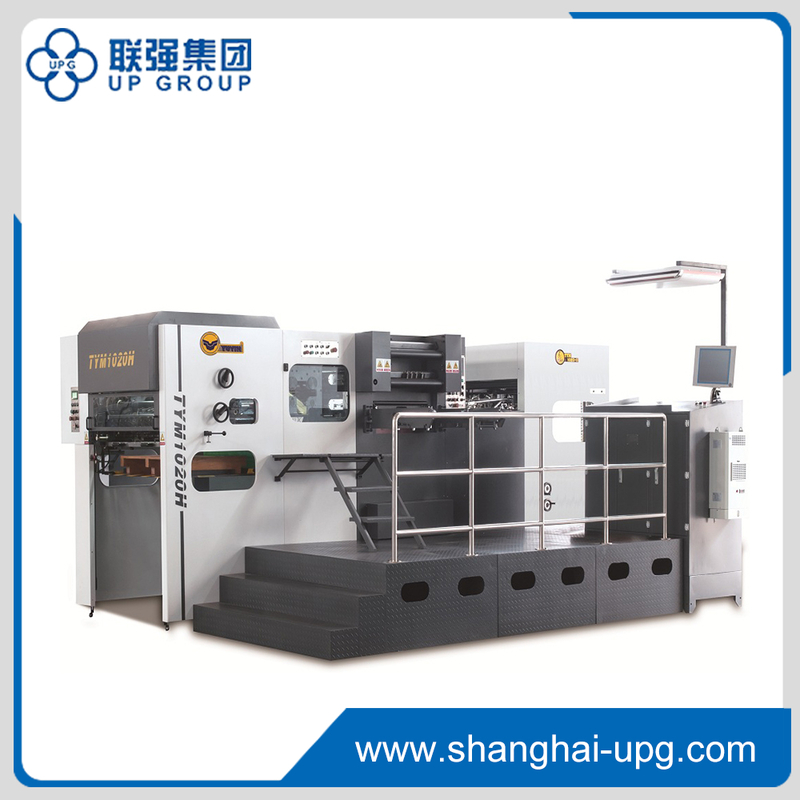 This kind of machine is a new generation of foil stamping series on the basis of TYM1020, it’s incorporated with fully automatic feeding, diecutting, stamping, delivering foil, delivering sheet, up-press, down-press, leap step, counting, heating, pre-heating, obstacle indicating, checking and measuring. It has the features of easy operating, reliability, high speed, press and precision. ● Cooling device for electrical box is added which improves the life of electrical parts.